(RMS) (36), all of which increase as a function of the number of motor fibers in the unit. Frequency-related indices, such as rise time and duration, can also be measured (36, 37); these are influenced more by action potential conduction velocity and the width of the innervation zone than by the size of the motor unit. With increasing levels of contraction, more motor units are recruited, and the firing rate increases. The resulting interference pattern EMG can be analyzed by indices such as amplitude, RMS, and FRA, and by frequency-related indices such as zero crossing distance and turn-point distance (36). Frequency domain analysis. Frequency domain analysis is a technique to express EMG power as a function of frequency. EMG power is intimately related to its frequency characteristics (8), and frequency characteristics in turn are related to muscle membrane conduction velocity, to filtering properties of the electrodes, to muscle-electrode distances, and to noise (36). Frequency domain analysis greatly simplifies the evaluation of all of these factors, which are difficult to evaluate in the time domain. The relative contributions of high and low frequencies to EMG signals can be estimated crudely by splitting the signal, filtering the signal with different bandpass filters, integrating the output of each bandpass filter, and comparing the two integrals, to yield a ratio of high-frequency power (e.g., 130-250 Hz) to low-frequency power (e.g., 30-50 Hz), the H/L ratio (38). More useful information can be obtained by power spectral analysis, for which a "window" of time domain EMG data is digitized and subjected to a computerized fast Fourier transform. The fast Fourier transform components are squared and their products are calculated, giving the power spectrum, which graphs the power of the signal as a function of frequency (Figure 5). To avoid artifactual overestimation of high-frequency content, it is necessary to condition the window of data by tapering its amplitude at the beginning and end of the window or by replacing all data before the first and after the last zero crossing with zeros. These "shaping" processes lead to a slight underestimation of high-frequency content of the EMG (39). where P is power density, f is frequency, i is the index over which the power density product is summed, i = 0 is the direct current component, and imax is the index associated with the highest frequency in the spectrum. The spectral moment of zero order (M0) and the root mean square (RMS = M10/2/p, where p is the number of points in the sample) are indices of total EMG power. 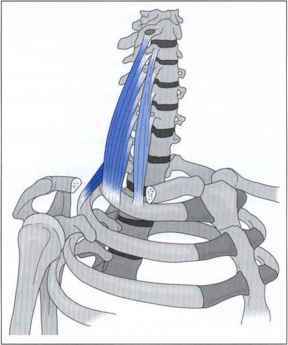 Theoretically, RMS reflects the force output of the muscle (8). However, both M0 and RMS are influenced by a number of other parameters, especially conduction velocity (8). In applications in which the power spectrum is expected to shift, as in fatigue, the first-order spectral moment (M1) may be a more useful index of muscle activation, because it is not affected by changes in action potential conduction velocity (36). Quantification of the distribution of power in the spectrum can be obtained by calculating the center frequency (fc = M1/M0), also known as the mean or centroid frequency. Figure 5 shows how EMG signal power spectra are influenced by interelectrode distance.